It’s already hot in the kitchen, so let us handle the heat and hassle of providing the linen. 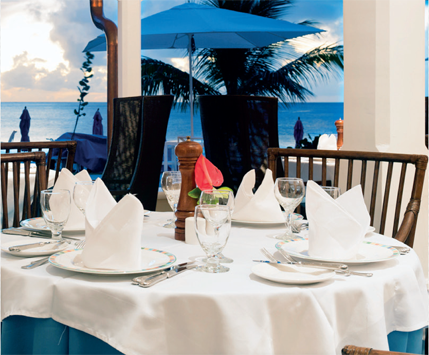 At St. Lucia Linen Services Ltd., we want to help you enhance your restaurant’s image. Clean linen consistent with your color scheme goes a long way. We have a large assortment of items in various materials and colours and cater to both large and small establishments and will work with your specifications.